Pizza, favored by all ages, dates back to 1889. Pizza, garnished with Mozzarella and tomatoes, was normally known as the dish for poor people until it became a famous dish for the wealthy when Queen Margherita had it as a meal as well. Pizza, with sauces and spices such as basil and garlic added later on, gets recognition by other nations with the arrival of Italian immigrants to the United States. The spread of pizza all over the world is due to the initiatives of the Americans. At that time in Italy, pizzas were made with Mozzarella and tomatoes however later on were served with different ingredients used today. Pizza, which has spread quickly outside of the USA, has become a favorite dish for consumers of all ages. 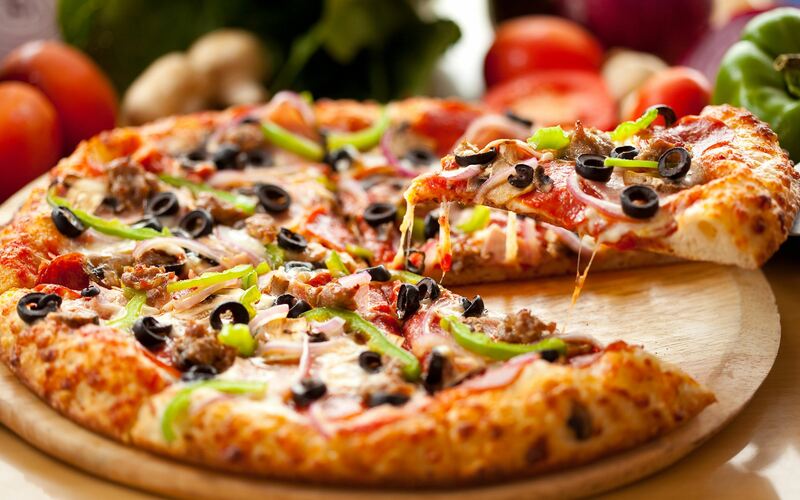 There are dozens of famous pizzas that appeal to different palates specially in the USA and Italy. In addition to the ready-made pizzas that are available at pizza restaurants you can also choose pizzas with only the ingredients you want to eat. The vegetarian pizzas are made mainly for consumers who prefer vegetables and generally ingredients such as peppers, mushrooms, tomatoes, cheddar, Mozzarella, olives, onions and corn are used. In case there are any ingredients in the pizza which you do not like you can have it removed or have the ones you like added on more. Vegetarian pizza, often preferred by people who do not eat meat, contains less calories in comparison with other selections. The New York pizza type, which is popular with children, is more appealing to people who enjoy simple delicacies. This, light and easy to digest pizza is made of tomatoes, cheddar and onion on a thin crust. There is also a variant of this pizza made with ground mutton. You can make a choice based on your palate. Neapolitan pizza, which is one of the most popular among pizza varieties, appeals to all tastes due to its abundant of ingredients. This type of pizza meets expectations of consumers who enjoy intense flavors, which ingredients such as sausage, salami, tomatoes, onions, mushrooms, olives, corn, cheese and eggs are used. The Sicilian pizza, which appeals cheese lovers, contains Mozzarella cheese, Cheddar cheese, Parmesan cheese, Gorgonzola cheese, dried tomatoes and various spices. 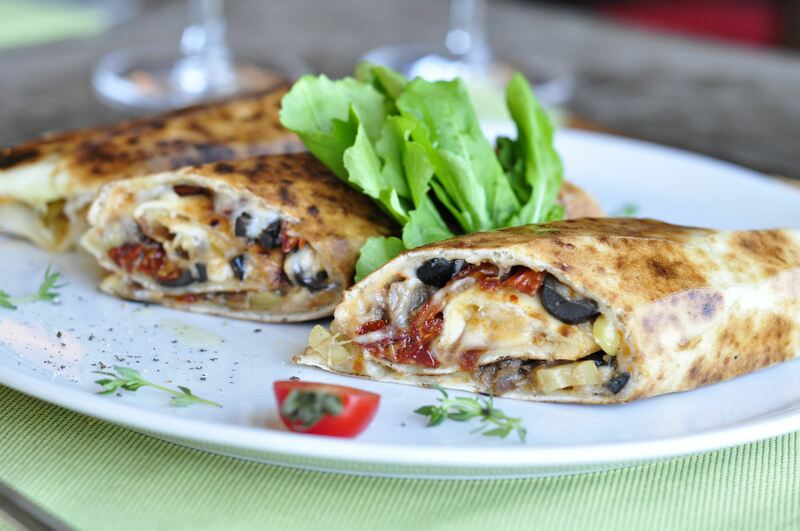 You can be sure that you will be delighted by the delicate taste created by the mixed melted cheese topped with dried tomatoes. The secret to Sicilian pizza is, its thin crust. You will be able to taste the cheese better due to the thin crust. The Chicago pizza type, which has a different structure than the other pizzas, is known as deep-dish pizza with high edges and thick layer of toppings. The pizza which usually contains tomatoes and cheese gives it a layered appearance. The Chicago pizza, which you can add different ingredients depending on your wishes, is also a thick crust pizza. This pizza variant named after Queen Margherita is while also the first pizza made, it contains tomatoes, Mozzarella and basil. This variant loved by the Italian people emerged during the poverty and wartime period, in which Italian women would add ingredients that were available on the dough. Tuna fish pizza, with its simplicity and lightness appeals to seafood lovers and is specially a preference for those on weight control diets. This pizza variant generally contains tuna, corn, onion, cheddar cheese, basil and thyme. 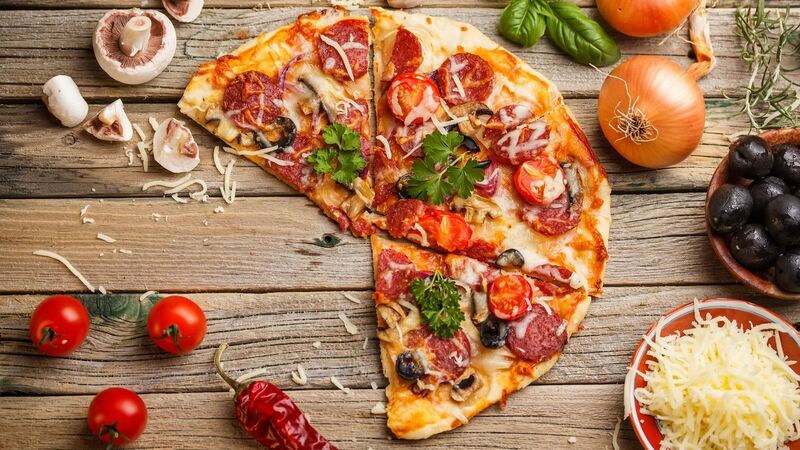 There are also varieties of Turkish pizzas that are very popular and appealing to the Turkish palate. Specially by adding the pastrami, which is found in abundance in Kayseri region, a different flavor is achieved. You can surprise your palate by tasting this pizza type with its plenty of spice and pastrami. Another type of Turkish type is meatball pizza. You can be sure that you will enjoy the meatball pizza, which have the most effective features of Turkish cuisine. The most important point of making a pizza is the dough and the cooking method. Although pizza dough is a changing concept based on different palates, pizzaiolos suggest that the dough should be as thin as possible. It is believed that a more delicious pizza can be obtained by focusing more on toppings rather than the dough. The pizza dough is as important as baking it. After all the ingredients have been added, the pizza should be placed on a higher rack in the oven. Thus, ingredients are cooked at the same time as the dough. You can also eat the pizza only with spices or sauces such as ketchup, mayonnaise, Ranch and mustard. Mix the yeast with flour in a large bowl. Pour half a cup of warm water, add oil, sugar and salt start kneading the dough. Once you kneaded until its smooth and non sticky you will have a smooth surface. Cover the dough with a cloth and let it sit in room temperature for about 1 hour. Later, spread the dough and add mozzarella and the toppings as per your wish, and cook for 15 minutes in the oven at 225 degrees. After its cooked, you can shape the pizza into a roll and serve it. Enjoy... If you want to taste this flavor at its location, we look forward to hosting you at L’oliva Italian & Mediterranean Cuisine at Elite World Business Hotel.